Lebanon is being dragged gradually but surely into the Syria cauldron. 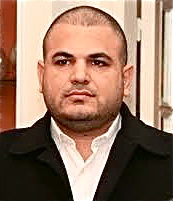 One, the overlord of Lebanon’s Alawites says he has no qualms about inviting the Syrian Army to restore order in Tripoli. Two, the “March 14” coalition, which is the Syrian regime’s nemesis in Lebanon, says it wants Arab countries and the international community to help protect Lebanon’s northern and eastern borders with Syria. Three, President Bashar al-Assad tells a Russian broadcaster Lebanon and Jordan have been helping to thwart the infiltration of terrorists and the smuggling of arms because they were aware “chaos” in Syria could spread to them. After the Lebanese Army curbed the May 12-14 clashes between Tripoli's two adjacent districts -- the predominantly Sunnite “Bab al-Tebbaneh” and the overwhelmingly Alawite “Jabal Mohsen” – Alawite chieftain Rifaat Eid talked tough at his Bab al-Tebbaneh stronghold. He told a Wednesday press conference the latest clashes were instigated by the “March 14” coalition and “gifted” to U.S. Assistant Secretary of State for Near Eastern Affairs Jeffrey Feltman and U.S. Senator Joseph Lieberman, who visited Lebanon in early May. Speaking in an interview broadcast Wednesday on Russian state news channel Rossiya-24, Assad said Russia and China, who repeatedly expressed their support for Syria and backed the country in the UN Security Council, are not supporting him as head of state or his regime, but international stability. Without them Syria, as well as the region as a whole, “would be swept by chaos,” he said. Assad said neighboring states like Lebanon and Jordan had been helping to thwart the shipment of weapons and the infiltration of fighters because they were aware the “chaos” could spread to them, and he said Europe and the West should be aware of the same danger in supporting the opposition. Assad denounced the armed opposition as a gang of “criminals” who he said included religious extremists and members of al-Qaeda. “It is not an army and it is not free,” he said, referring to the opposition’s Free Syrian Army. Assad said, “Through the interrogation of terrorists, it became irrefutably clear weapons are being smuggled across the Syrian borders from neighboring countries and funds are being sent from people abroad… We have information about people leading these operations outside Syria and in several countries. "There are bombs and mines placed in areas with civilians and may target civilians sometimes and they may target security forces or the police or the army… There are also-anti-tank weapons, which is new and serious… So all things point to the fact that there are countries responsible for armament and not individuals who may actually be fronts for these countries. "Where do the weapons come from? From neighboring countries… (But) we cannot accuse them of being involved in the smuggling as it's difficult to control borders with surrounding countries..."